It’s been a good week for video games fans thanks to some exciting trailers and game releases. Those who enjoy sports games will be looking forward to EA Sport’s FIFA 14 and will definitely want to check out the trailer video which was released last week. The video features real gameplay so gamers will know what to expect from the PC/PS3/Xbox 260 version. There hasn’t yet been a trailer for the PS4 or Xbox One however, judging by the current trailer, it should be amazing. It is also possible to pre-order the game from EA’s website. Fans of the Crysis gaming series will be pleased to hear that Crysis 3: The Lost Island DLC, has been released. The DLC is good news for fans of multiplayers gamers as it will introduce many new elements to the game. The DLC can be bought over Xbox Live for 1,200 MS Points, £11.99 via EA’s Origin store, and £11.99 on PSN. 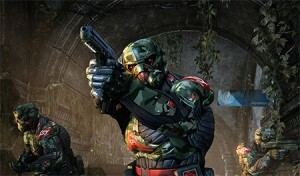 This is the first DLC for Crysis 3 and features two new multiplayer modes, new weapons and four new maps.